4 Bedroom Bi level in Hartsville Park features 2 story Open Split foyer which leads to large living room with Anderson Bay window open to Formal Dining room with large casement Anderson window. Formal dining room opens to Solid Oak Kitchen with gas range , Built in dishwasher and overhead microwave. Wall to wall carpeting over hardwood floors on Main level. Lower level feature family room with door to back yard and powder room/Laundry off family room. Newer heater and central air, newer vinyl siding and dimensional roof.2 car attached garage. 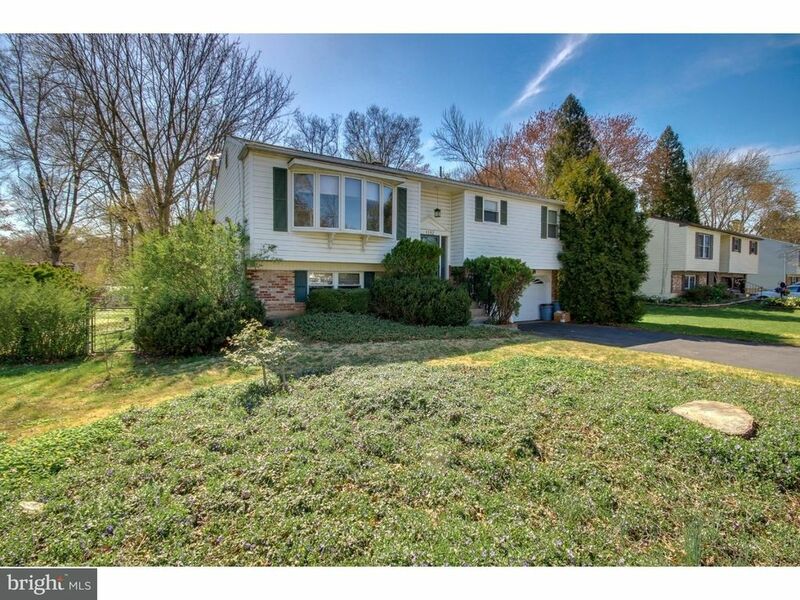 Fenced yard and very deep lot(Warminster township conveyed additional ground to existing backyard)4rth bedroom on lower level is open & can be converted back.